Creating a stress map to evaluate areas that need special attention. Investing your money in the smartest places. 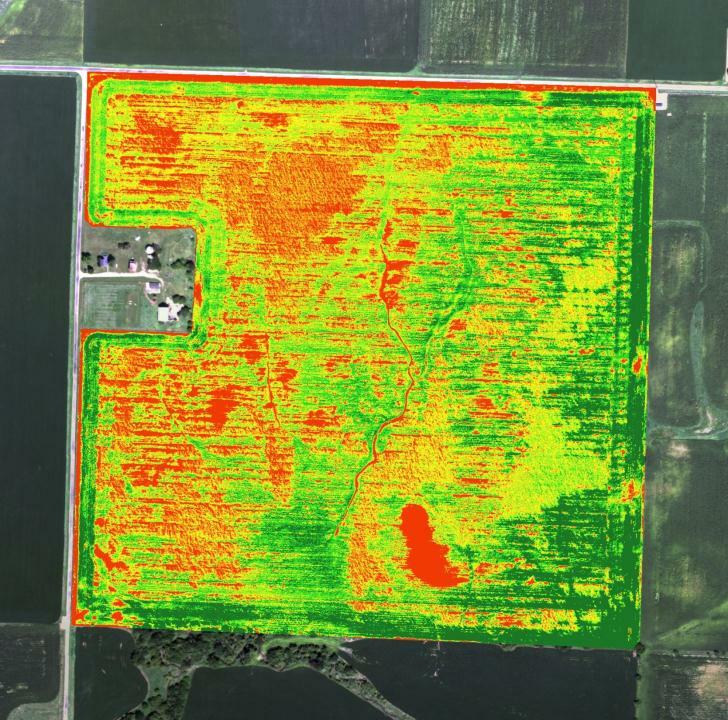 Using the NDVI and VARI crop stress algorithms, areas in your fields which are experiencing different growth conditions can be identified. By gathering the information on the map, your agronomist can go to exactly the right locations in your field to evaluate the situation. Whether it is caused by dehydration, fertilization, or infestation, using these maps can help cut input costs by finding problems sooner only treating those areas which need it to the proper degree.